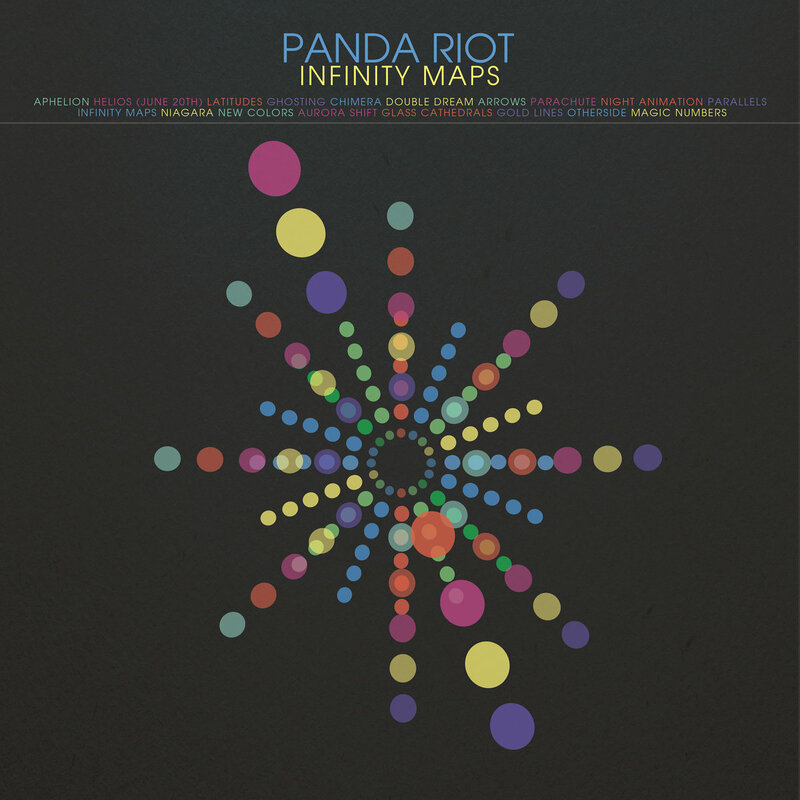 Chicago shoegaze band Panda Riot released their second album a few months ago. At 18 tracks it’s something of a sprawling beast, though from the outset it hits all the right notes of its genre, Brian Cook’s noisy guitar topped off by Rebecca Scott’s sweet vocals on songs like Aphelion and New Colors. Helios features an almost stadium sized riff wrapped in industrial strength gauzy noise. Ghostly interludes like Latitudes and Niagara punctuate the album, providing a few moments calm between guitar assaults. Tracks like Ghosting and the jangly Arrows have a pop sheen amidst all the guitar effects. Night Animation and Otherside are relentlessly upbeat and floaty in the way this kind of music can be at times. But regretful, bruised numbers like Parallels work really well while the swoon-inducing instrumental title track soars briefly and brightly. Though it’s not massively original, Panda Riot distil the early nineties shoegaze sound really well, while bringing a modern pop sensibility to it.